Later on today, from 5-6 PM Central (i.e. Chicago) Time, I'll be holding another monthly Public Q&A session via Google Hangouts. I'll be posting the link for the Hangout once it's opened in several locations - my Patreon page, my Facebook author page, in Google+, and in Twitter. 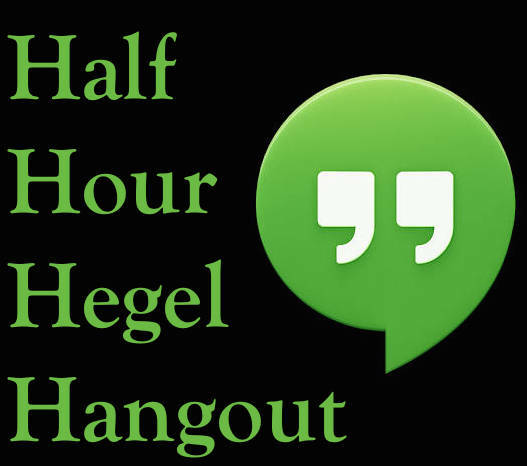 So, if you've got some Hegel-related questions, or matters you'd like cleared up (perhaps - or possibly made even more complicated), or if you just like to listen to other people puzzle out stuff pertaining to Hegel, join the hangout!